Provide comfort for the family of Maria Lucia Transi-Marinelli with a meaningful gesture of sympathy. 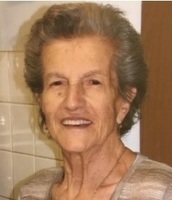 It is with great sadness that we announce that our mother, Maria Lucia Transi-Marinelli and with the grace of the Blessed Virgin Mary, passed away on Friday, February 1, 2019. She will be forever cherished by her children: Silvio (Denise), Antonio (Ning), Anna (Douglas), Luigi (Christina), Remo (Iza), and Romolo (Kara), grandchildren Domenic (Jessica), Joseph (Joanna), Maria Elena (Rob), Christina (Dave), Bryan (Jenine), Maria Lucia, Jessica, Diego, Alessandro, and Sufei and great-grandchildren Sierra, Vincenzo, Luca, Marco and Sofia. Maria was predeceased by her husband Domenico in 1964 as well as brothers Nicola, Domenico, Antonio and Vincenzo. She leaves behind her brother, Pepino (Rome, Italy) and many relatives and friends to celebrate her life. Maria was born in San Giorgio, Teramo, Italy. She was the youngest of six siblings. She spent her early years tending sheep and could always trust her beloved, Stressa, the donkey, to carry fire wood for her. From dancing in the piazzas and ringing the church bells, she embraced all that life offered. She immigrated with her husband and their two oldest children in 1957 to Winnipeg. After the loss of her husband, she dedicated her life to her children. She was always so grateful to the family and friends who could always be counted on to assist her in any way. To most she was known as Ma or Nonna. To the many people that were brought over to the house and were often fed at a moments’ notice, they all knew her as Ma. She was a wonderful cook, always interested in trying new recipes, and always ready to pull together a meal if someone needed to be fed. She was an active volunteer at Centro Caboto until two years ago. She spent 24 years as a resident of Villa Nova. She enjoyed playing Bingo weekly and having a vegetable garden for 22 years. Maria lived life to the fullest. She was a story teller and had a wonderful sense of humour. Above all her spirituality gave her grace, strength and fortitude to persevere. She prayed the rosary daily with her rosary group at Villa Nova. She was a 61 year member of Holy Rosary Church and a 26 year member of the Catholic Women’s League. 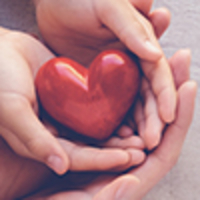 In lieu of flowers, donations may be made to Grace Hospital, Holy Rosary Church or Centro Caboto which would be greatly appreciated by the family or a charity of your choice. Sincere thanks to all the care givers that attended to her needs in Unit 5N at Grace Hospital. The family will receive condolences at 10:00 am followed by the Mass of Christian Burial on Friday, February 8, 2019 at 11:00 am. at Holy Rosary Roman Catholic Church, 510 River Ave., Rev. Father Sam Argenziano and Rev. Father Gerry Ward co-officiating. Burial will take place at St Mary’s Cemetery, 506 Osborne St., Winnipeg, MB. To send flowers in memory of Maria Lucia Transi-Marinelli, please visit our Heartfelt Sympathies Store. We encourage you to share your most beloved memories of Maria Lucia here, so that the family and other loved ones can always see it. You can upload cherished photographs, or share your favorite stories, and can even comment on those shared by others. Teresa Latrofa sent flowers to the family of Maria Lucia Transi-Marinelli. In loving memory of Zia Maria. With our sincere condolences. We have many memories with Zia going back to 1965 when we arrived from Sicily and throughout the years. Although the friendship she had with my mom and my kids was short, she will surely be missed. Her cookies and pie treats will be missed. She was a great friend. Always in our prayers. Rest In Peace. My 7 year old prays for her daily.